Two women fighting for their dreams—one who's long lost hers—are united by tragedy and a long-held secret. 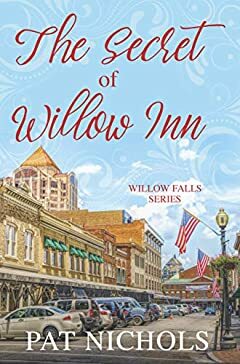 Pregnant with her first child, Emily Hayes is eager to help her mother finish transforming an estate into the Willow Inn and write a novel about Willow Falls' colorful history. A tragic event threatens her parents' plans to refurbish an abandoned hotel and transform the obscure Georgia setting into a tourist destination. Sadie Lyles left Willow Falls a murderer who'd killed the town hero. She returns as a despised felon and seeks solace in the town's café. Emily struggles to unite the close-knit community and becomes Sadie's biggest advocate. She strives to uncover the truth about the crime and save her town from dying. To appease her father, Rachel, a VP in his Atlanta real-estate-development firm, relegates her acting dream to secret performances for imaginary audiences. After meeting charming, flirtatious Charlie Bricker, manager for Willow Falls' future vineyard, she vows to break free from her father's control. The tragedy and Willow Inn's secret past launch Emily and Rachel on a collision course with destiny and truth. General Content (G) (I): Contains little or no; sexual dialogue or situations, violence, or strong language. May also contain content of an inspirational/religious nature.